Window Displays - Bon Accord Glass offers a range of high performance windows in UPVC, timber, aluminium and timber alternative. 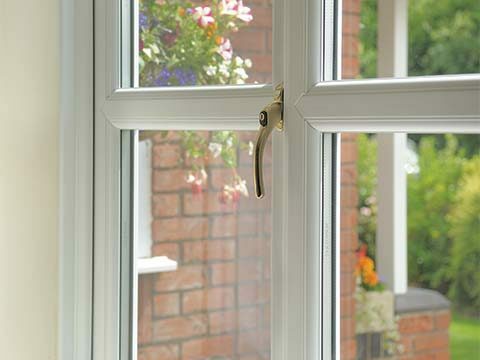 View the choice of styles, colours, finishes, security, glazing, hardware and more. 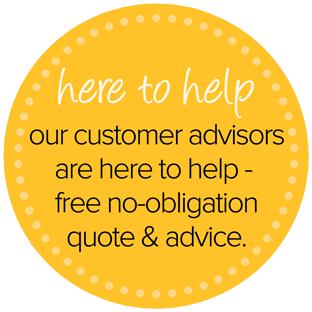 Our staff are on hand to help answer any questions and offer advice on the options available. 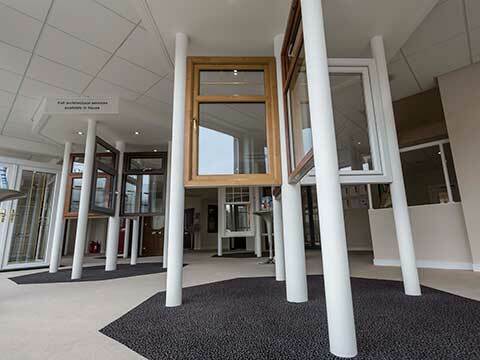 We can also help you with your other glass and glazing needs. 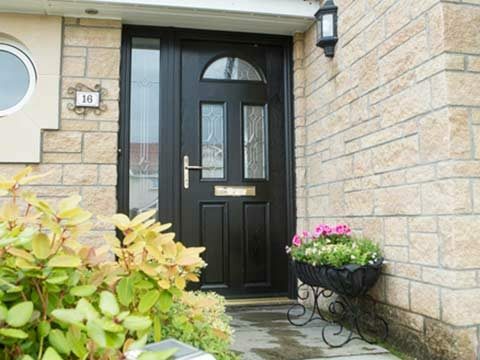 Door Displays - Discover for yourself the range and quality of entrance doors, french doors, patio doors and bi-fold doors crafted from UPVC, timber, aluminium and composite materials from Bon Accord Glass. 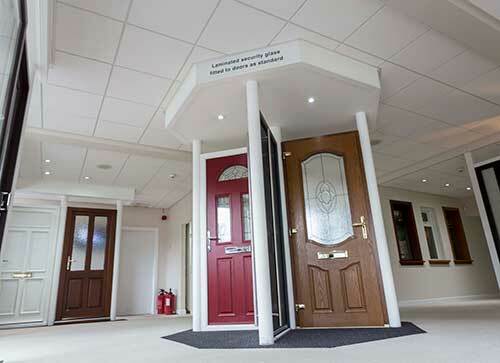 Browse the wide range of door styles, materials, colours, handles and hardware on display and talk to our friendly team about the choices we can offer. 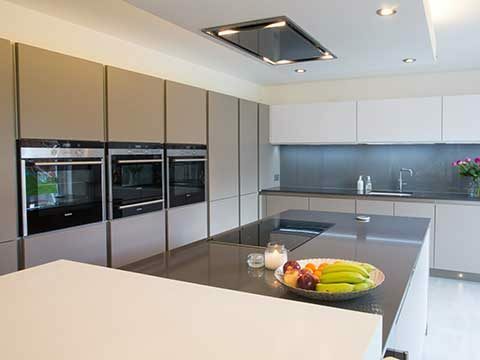 Kitchen Studio - See our ten fully operational kitchens - highlighting the extensive choice of styles and colours as well as worktops, appliances, finishes and interiors - and talk to our experienced kitchen designers. And you can take a virtual tour of your bespoke kitchen in our exclusive presentation suite, where our new 3D modelling software will bring your design to life. 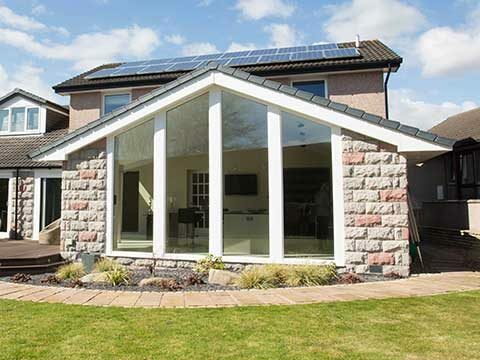 Home Extensions - We also supply and install a range of conservatories, orangeries and sunrooms, complete with flooring, fixtures and fittings. We can also design and build a bespoke tiled-roof extension or garage or loft conversion. Our experienced team are on hand at our showroom to help answer any questions and offer advice on your home improvement ideas and help you select or plan the perfect addition to your home. And, as part of the planning of your unique home extension, you can step into your future with a virtual 360° tour in our exclusive 3D presentation suite so you can be sure it meets your needs exactly. With over 40 years of excellent customer service and high quality products Bon Accord Glass offers the best possible value - our reputation is your guarantee.